Joe Long of Fighters Inc exclusively told K1ANOOP that Fighters Inc in partnership with former UFC middleweight champion, Michael Bisping, are set to launch over 100 UFC Gyms in the UK over the next 10 years – further details of which are being announced this afternoon at the UFC Gym’s press conference at Glazier’s Hall, London Bridge. Joe Long will guest on The K1Anoop Show podcast on Friday 16th March. Over the past 21 years, Joe Long has met countless personalities and world class athletes through his sports management agency, Fighters Inc. The former English Karate champion use to manage Dillian Whyte – the kickboxer – long before “The Villain” would transition his fighting career into professional boxing. Dillian would win two British kickboxing championships and hasn’t been forgotten by UK Kickboxing for his bloody toughness. However, world kickboxing had limited opportunities in the late ‘noughties’ when Dillian was emerging as a serious fighting talent (even flirting with MMA), compared to kickboxing’s current resurgence pioneered by GLORY Kickboxing; but even now the best kickboxers still struggle to make a living solely from fighting, in stark contrast to the majority of elite pro boxers. In his first amateur boxing bout, Dillian defeated current WBA (Super), IBF and IBO heavyweight world champion, Anthony Joshua in 2009 and an intense rivalry would develop in those six years between the two British heavyweights. An exhilarating rematch as pros in December 2015 would see Joshua KO Whyte in the seventh round, after being badly troubled by Dillian in the earlier rounds at The O2 Arena. Since then Dillian has won the British heavyweight title and WBC International and Silver championships; defeated Dereck Chisora by split decision in a 12 round war; and fights former WBA (Regular) world champion, Lucas Browne on March 24 at The O2, London. 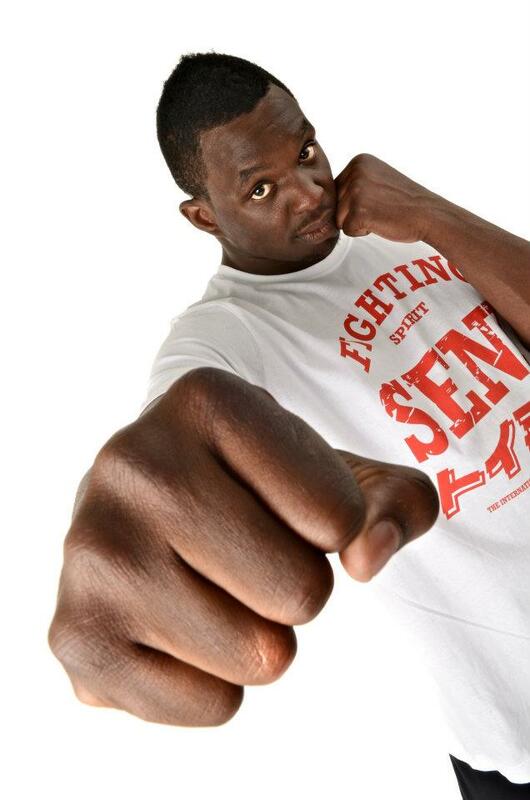 However, his early pro boxing career was marred in controversy and hardship when he was banned for two years by UK Anti-Doping (UKAD), for a failed drugs test prior-to fighting for an English championship, having consumed a pre-workout drink made from a banned substance, methylhexaneamine (DMAA). 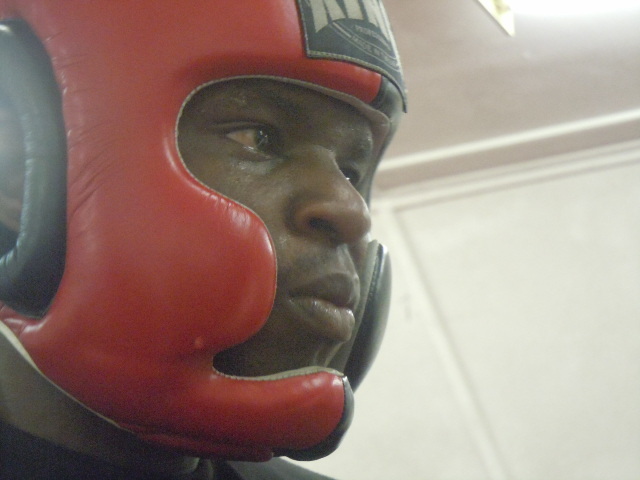 Those events would have crushed most people’s dreams and aspirations of becoming a genuine world contender but the Jamaican born warrior forged his own Rocky Balboa story – the prelude to which – Joe Long recounts: witnessing a 15 year old Dillian Whyte battling multiple world Karate champion, Leon Walters in an intense sparring session up-to, the most darkest moments of his professional boxing career. At the time of the UKAD ban, Whyte expressed how distraught he was in a BBC Sport interview with Matt Slater and that he felt unfairly punished compared to other athletes who, had been banned for less than his two year suspension, for using steroids. Whyte would return from his two year UKAD suspension in October 2014, with an emphatic second round TKO stoppage of, Ante Veronica at the Camden Centre, London. From that point on, it’s history in the making for Dillian Whyte’s boxing career, going from strength-to-strength and on March 24, Dillian Whyte vs. Lucas Browne will allow for both heavyweight rivals to settle their grudge match that’s been brewing for numerous months. Lucas Browne was the first Australian to become a world heavyweight boxing champion after defeating Ruslan Chagaev for the WBA (Regular) title via tenth round TKO in Chechnya, March 2016. However, Browne would end-up being stripped of his title due to failing a controversial drugs test when traces of clenbuterol were found in his urine samples after the fight. Bizarrely, Browne would again fail another drugs test (after serving his six month ban) in the buildup to fighting, Shannon Briggs for the WBA (Regular) title; and since then has had a bitter war of words via social media (and interviews) with Dillian Whyte. The most renown kickboxer to become one of the most dominant world champions in heavyweight boxing was Viatali Klitschko who, was awarded ‘The Eternal World Heavyweight Champion’ in 2016 by, the WBC for his illustrious career; and twice winning the WBC world heavyweight title along with, the WBO and The Ring heavyweight titles. Should Dillian Whyte defeat Lucas Browne and defend his WBC Silver championship on, March 24 at The O2 Arena in London, he could be next in line to challenge the current WBC world heavyweight champion, Deontay Wilder, for the most prestigious green belt in boxing. Joe Long has had an interesting and influential role in the growing popularity of mixed martial arts (MMA) in the UK, being at the epicentre of numerous combat sports events, including both the UFC and Bellator MMA’s presence on British soil. Long is one of two co-owners of sports management and marketing agency, Fighters Inc which, he co-founded with former world Karate champion, Paul Alderson. 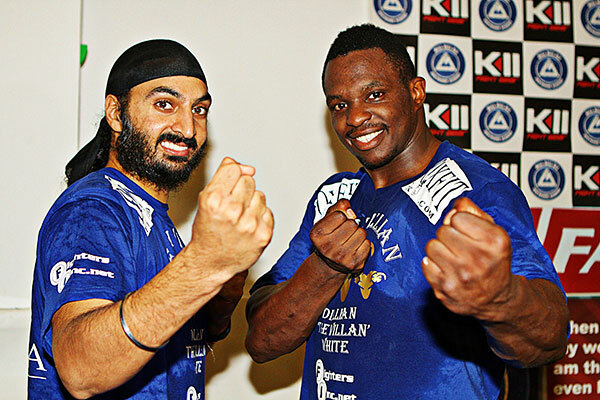 The two friends (and training partners) went into business together after Joe was forced to retire from competing (aged 22) in international Karate due to a serious knee injury; and would go on to manage the early professional boxing career of British heavyweight boxer, Dillian Whyte; promote the UK’s first ‘hybrid’ combat sports event; and much more over the last 21 years. With the UFC returning to London on March 17, 2018 at UFC Fight Night 127, K1ANOOP interviewed Joe Long for his perspective on the development and current state of niche combat sports (especially MMA) in the UK. Back in July 2002 when the promotion initially arrived for UFC 38: Brawl at the Hall, it was the first time that the UFC had hosted an event outside of the USA which, would undoubtedly impact the strong growth of MMA in the UK. A healthy volume of British fighters has since emerged on the world stage including: former UFC middleweight champion, Michael Bisping and former Bellator light-heavyweight champion, Liam McGeary. The evolution of British based MMA promotions, most notably: BAMMA and Cage Warriors, has also been impressive to witness; and provides British MMA athletes with more opportunities of making a viable sporting career too. The Joe Long interview took place at The Troxy in East London which, had survived ‘The Blitz’ during World War 2 and was recognised by English Heritage as being a Grade 2 listed building in 1991. The Art Deco designed venue which, has been entertaining Londoners since the 1930s, was once England’s largest cinema and in recent decades, has been hosting a variety of combat sports events too. Spending an hour and a half with Joe towards the end of February and having a candid conversation with him about his vast experiences and plentiful stories resulted in a YouTube mini documentary interview (playlist) series with Joe Long; sharing his stories from the last 21 years including: the UFC, Bellator, GLORY Kickboxing and so much more from the world of Kickboxing, Karate and MMA. In this first instalment of articles derived from the Joe Long mini documentary interview, we discuss his relationship with Bellator and their CEO Scott Coker which, initially seemed to be heading in a very positive direction for both parties (but would badly disintegrate). As well as his opinion on how and why Bellator have not been anywhere near as successful in the UK compared to their closest/biggest rivals, the UFC. In 2014 and then 2016, GLORY Kickboxing were supposed to have returned to the UK and Fighters Inc were ready to facilitate GLORY’s return as they had done for GLORY 5 London, only for both of these proposed return-events falling through in the final stages, according to Long. Following the first and very costly mishap for Fighters Inc with GLORY, Long and Alderson had been in-talks with other global promotions as a precaution and when GLORY again didn’t complete, Bellator MMA would take the date and The O2 Arena via Fighters Inc instead, resulting in Bellator 158. For someone with 21 years experience in sports marketing to complain about the (lack of) communication skills at one of the biggest MMA promotions in the world which, just happens to be owned by a global media conglomerate in Viacom, is very alarming indeed. Usually, this kind of problem is something that one would stereotypically expect to find with an inexperienced small-scale promoter on a local/domestic scene, lacking resources. If MMA is to continue developing as the fastest growing sport in the world then surely the leading MMA promotions who, are fortunate enough to be their own media companies (Viacom also own Spike TV which is Bellator’s broadcasting partner), should have much better lines of communication both internally and externally? “BAMMATOR” – Bellator’s partnership with BAMMA in both the UK and Ireland, has so far involved three co-promotions from, February 2017 to March 2018 but unless Bellator were to takeover BAMMA is this really the best branding exercise Scott Coker can be executing in the UK let alone Europe? After all, how many British MMA fans were entirely happy with the initial announcements about the UFC Fight Night 127 London fight card earlier this year?